Guatemala City is one of the most beautiful cities in Central America. In it you can find some galleries, public squares and high-end shopping centers. It is also a city that despite time remains and remains the central axis of the country since the colonial era, it is located in the main buildings of public administration and government, from its historic center to the most modern avenues, Guatemala City wait for you. We will pick you up at your hotel early in the morning. Then you will have a panoramic tour in the main avenues of the City and you will have time to take some interesting pictures. We will get down off the bus in the Central Park in front of National Palace and The Metropolitan Cathedral, at the end you will visit El Portalito this is a restaurant and bar located in the Historic Center of Guatemala City, specifically in the interior of the Rubio Passage. The bar is currently considered old because of the date it was opened, as well as being the first restaurant-bar that opened in this area of the capital. According to oral tradition, the politicians of the revolution in Guatemala of 1944 met in El Portalito, as well as great personalities such as Miguel Ángel Asturias, Augusto Monterroso and Ernesto el Che Guevara. 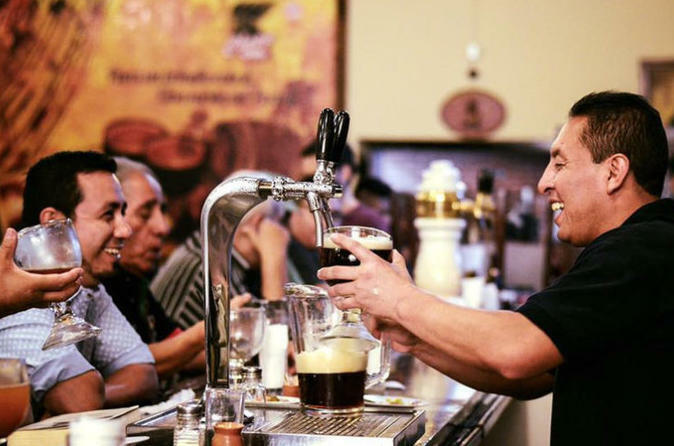 So, if you want to drink the national beer of Guatemala this is the perfect place to enjoy draft beer. At the end you will be drop off to your hotel.